As an Architect I can see a fit to the “Jack of All Trades” box, however I think that there is a reach across the Researcher, Creative and Businessperson categories if we were to be classed. However as an Architect it is important to understand the skills that a Data Scientist needs across these areas as going forward there will be more opportunities to work side by side with Data Scientists in solutions and architectures. 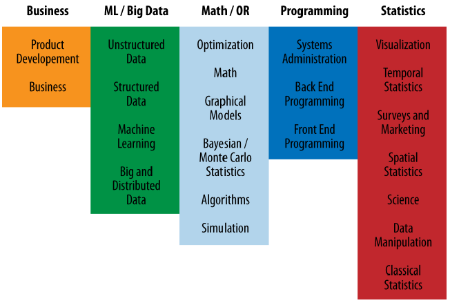 From reading other reports this is by no means a full list of skills but provides a good insight into what a Data Scientist needs in their skills bag. The report then looks at typical tasks that would be covered by each category and splits these into 22 core tasks across 5 main tasks. 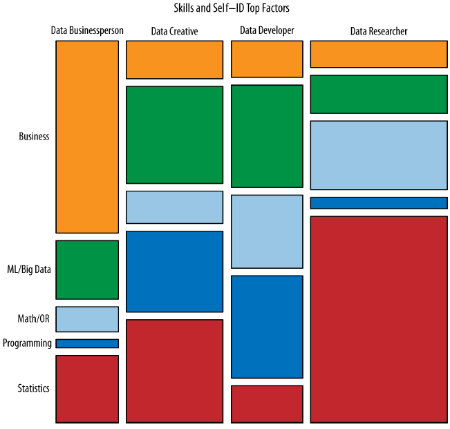 The visualisation below illustrates the results showing the skills and tasks across each Data Scientist type to show a percentage of skill that is needed.